Learn how to find and install the OverDrive Media Console mobile app for your device. 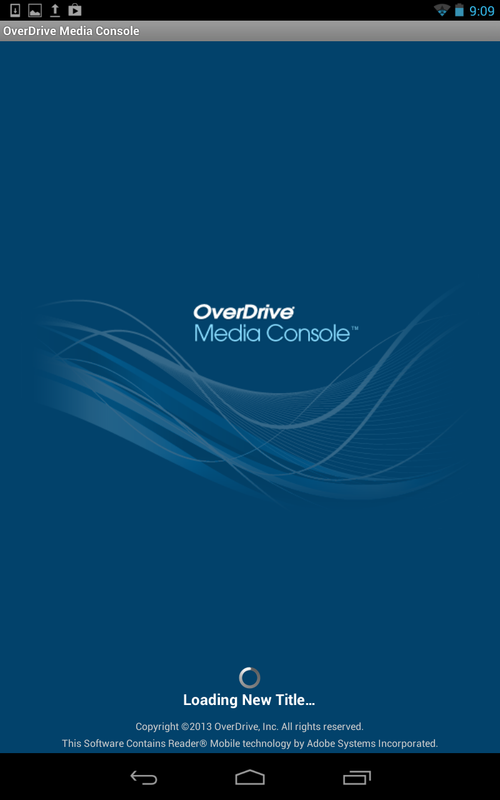 After you have successfully installed the OverDrive Media Console mobile app for your compatible device, you have the choice of using the OMC mobile app's browser (which is built into the app itself) OR the web browser installed on your device (Safari or Chrome, for example) to browse the site and download eBooks and audiobooks. Either method works equally well with Android devices at this moment. However, when using an Apple device, please use the Safari web browser to visit our site. 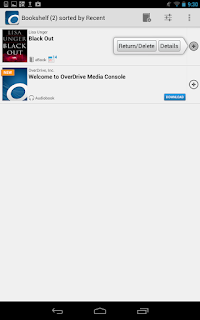 The OMC app for iOS needs to be updated to show the new "Next Gen" OverDrive website. Log into the site with your library card number. 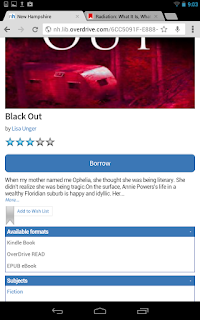 Open the menu (the icon with three horizontal lines) to browse for eBooks. 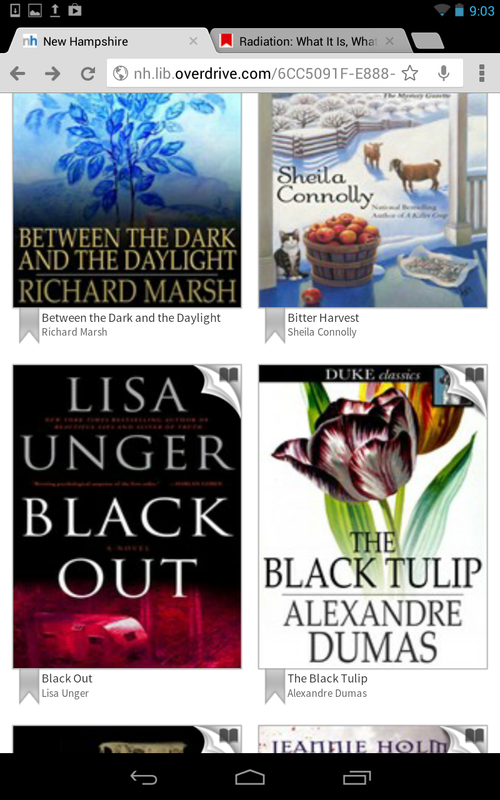 Select fiction or nonfiction eBooks to start browsing. 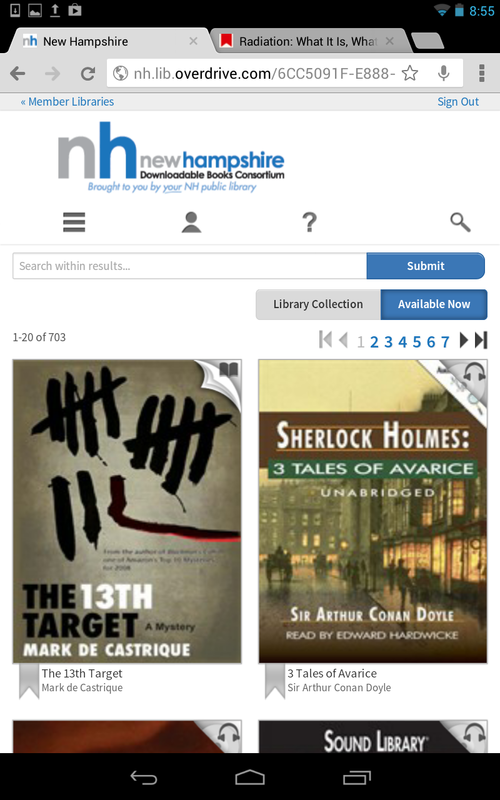 Note that you are seeing the newest eBooks added to the collection and they are most likely checked out by other library patrons. 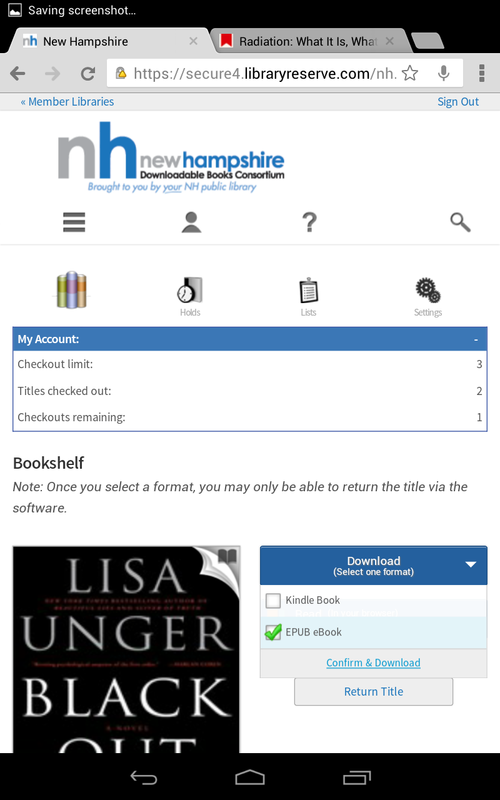 To view eBooks that are available to borrow immediately, tap the "Available Now" button. Note that there is a glitch with the mobile site. 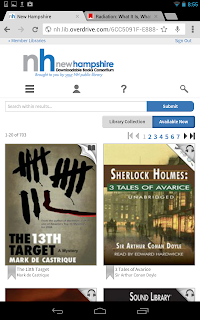 After selecting "Available Now," all formats are shown, not just eBooks. 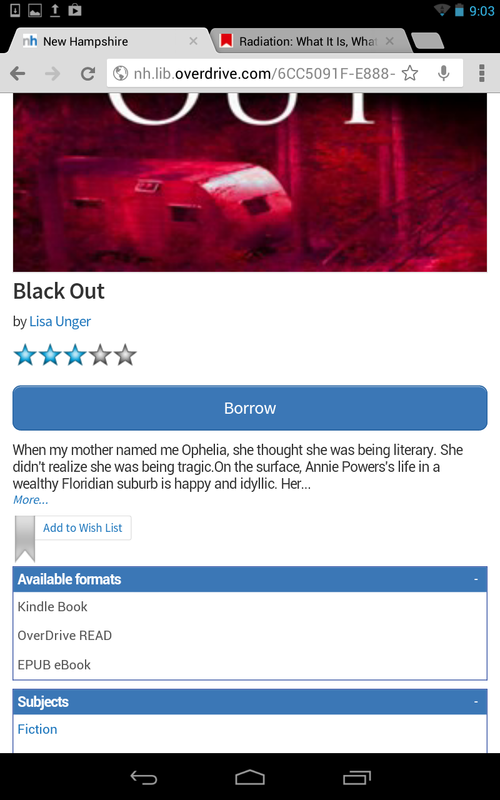 To fix this, simply move down the page and tap "eBooks" to limit the results to eBooks. 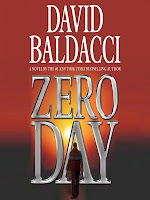 Find a title that looks interesting and tap on the cover to read more about the book. Be sure to double-check that the title is available in the eBook format you want. There are two types of EPUB eBook formats. 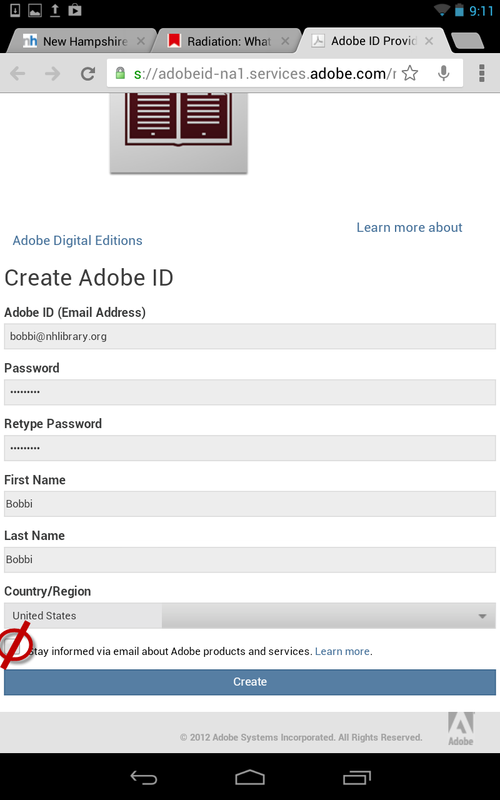 Adobe EPUB eBooks contain DRM (Digital Rights Management), require the OMC app to be registered with an Adobe ID, and can be returned to the collection earlier than 14 days. Open EPUB eBooks contain no DRM and cannot be returned to the collection earlier than 14 days. Tap "Borrow" to checkout the book. You are brought to your Account >> Bookshelf where you can select a format and download the eBook. Note that you have a variety of choices at this point! If you are a Kindle customer and have the Kindle app installed on your device, you can get the Kindle Book (if available for that title) to read on the Kindle app. You can choose to open the OverDrive READ format (if available for that title) in your browser -- no app, additional login, or ID required. 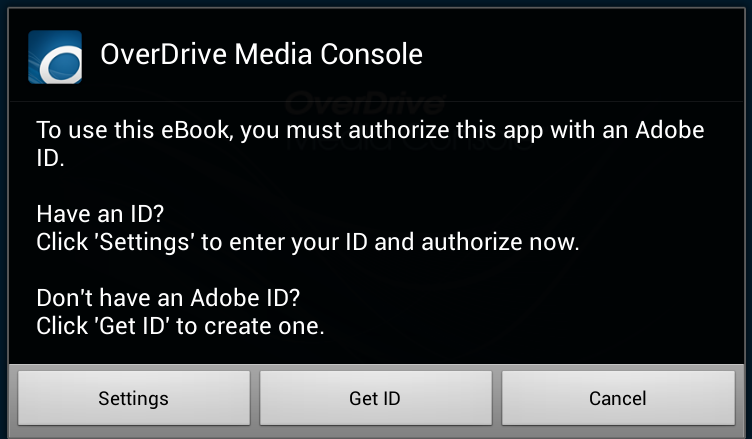 Or you can continue with these instructions and download the Adobe EPUB or Open EPUB eBook using the OMC mobile app. 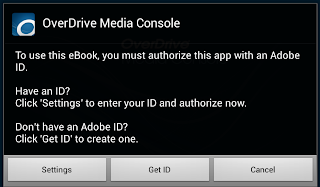 As soon as you select the EPUB eBook format and confirm the format, you can download the title. The OMC mobile app will open automatically. 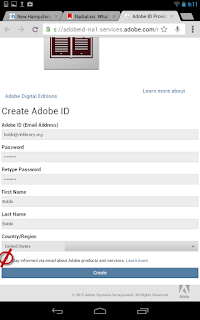 If you have not yet authorized the app with a free Adobe ID, you will be prompted to do so at this time. The app will open and give you the opportunity to registered the device or obtain a new ID. Register for a new ID, if necessary. Tap the book to start reading! To return the book early, tap the small "plus symbol" next to the title to return then delete the title. 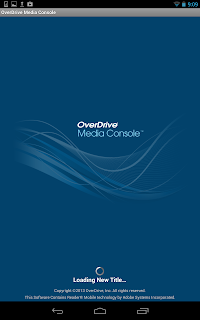 Note: Adobe EPUB and MP3 audiobooks can be returned from the OverDrive Media Console mobile app for Android, iOS, Nook tablets, and the Kindle Fire.